DAVOS: Prime Minister Shahid Khaqan Abbasi stated on Wednesday that the results of the China-Pakistan Economic Corridor (CPEC) have already started to come in. Speaking at a session titled ‘The Belt and Road Impact’ at the World Economic Forum (WEF) in Davos, Switzerland, Abbasi said CPEC is about developing infrastructure, power plants, airports, seaports, highways and special economic zones for export growth. 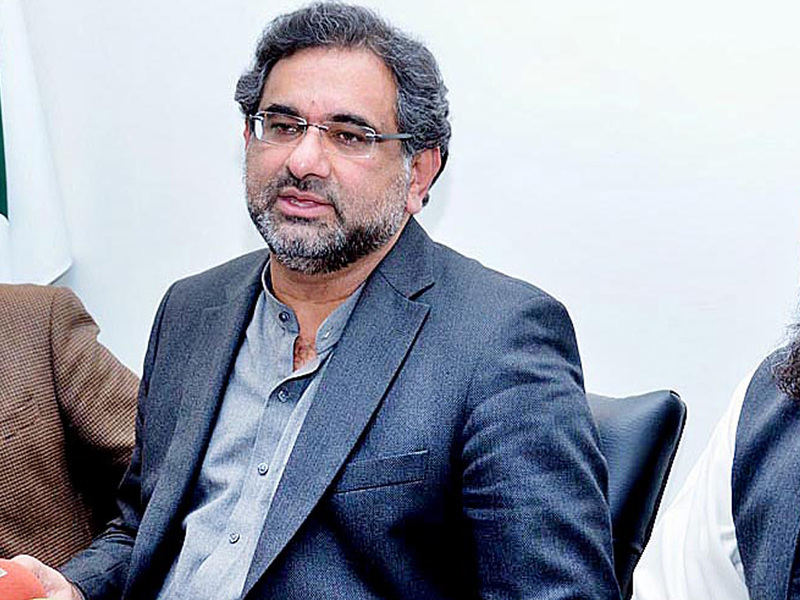 Sharing the results of the over $56 billion CPEC, Abbasi said the cement industry has grown by 56 per cent while exports are up by 15 per cent, adding that the project has resulted in the creation of “great investor confidence”. The prime minister also said that despite establishing coal plants under CPEC, the net effect on the environment will be positive through replacement of older, less efficient oil-based power plants. “CPEC is much more than just creating infrastructure on ground,” he added. Talking about foreign investors in CPEC, the premier said there is a need to ensure that the projects are inclusive and open to all investors with the same level playing field that’s available to local players. “Pakistan can provide connectivity to most of land-locked Central Asia,” he stated. The Belt and Road Initiative is a global infrastructure project of Chinese President Xi Jinping. The session is being attended by Asian Infrastructure Investment Bank President Jin Liqun, Caixin Global Managing Director Li Xin, Russian Direct Investment Fund CEO Kirill Dmitriev, AECOM CEO and Chairman Michael Burke, Singapore Minister Chan Chun Sing and China National Machinery Industry Corp Chairman Ren Hongbin. During the session, AIIB president Li said they support lots of projects in Pakistan. The other speakers also delved on the role of infrastructure projects vis-à-vis protecting the environment and also the need for political certainty for sustainable development. Earlier, upon arrival at the Zurich airport, the premier was received by Pakistan’s Ambassador in Switzerland Ahmad Naseem Warraich and senior government officials. Abbasi will also participate in a number of important events and hold bilateral meetings with key world leaders, as well as chairpersons and CEOs of fifteen leading multinational organisations from the US, Europe, China, and Japan, according to the APP.